As the Voice of Business, the Mission Regional Chamber of Commerce works towards making the region a competitive place to do business. That’s why advocacy is core to our mandate. Working with the municipality and through partnerships with Economic Development,we are able to ensure that business concerns are heard. Canadian Chamber of Commerce, we work with regional, provincial and federal policymakers to improve our business environment. Every year, member chambers of commerce and boards of trade, along with the Canadian Chamber of Commerce’s policy committees, are invited to submit resolutions of a national scope to the Canadian Chamber policy process. This process culminates in a democratic vote on the floor of their annual general meeting. Following approval at the AGM, we, along with our members, can move forward in our advocacy efforts based on the resolutions contained within the Policy Resolutions Books. Each resolution, once approved, has an effective lifespan of three years. Once policies are approved at the BC Chamber or Canadian Chamber, the MRCC continues to work with local members of parliament to encourage government support for the policies and to push for change. For more information on all the activities of the Government Affairs Committee of the Mission Chamber see our recent news releases! Are you interested in helping us shape public policy? Are you an expert in your field, with a passion for strengthening the local business community? 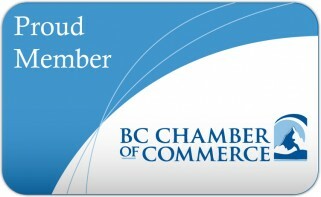 Are you currently a Mission Regional Chamber of Commerce Member? Why are you interested in joining this committee? What unique expertise would you bring to the committee table? How do you hope to benefit from committee membership? How did you hear about our committee? What other organizations are you currently affiliated with? All committee members must be Members of the Mission Regional Chamber of Commerce in good standing. All committee members must sign a Code of Conduct agreement as well as appropriate confidentiality agreements.